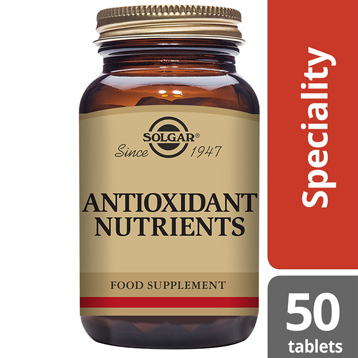 Solgar® Antioxidant Nutrients is a combination of several vitamins and minerals who all have strong antioxidant benefits. 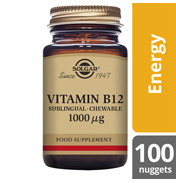 Ingredients: Vitamin C (as L-Ascorbic acid), Bulking Agents: (microcrystalline cellulose, pea starch, alginate hydroxypropylmethyl cellulose, dicalcium phosphate, gum Arabic), Vitamin E (as D-alpha tocopheryl acid succinate), L-Cysteine (as HCI), Anti-caking Agents: (silicon dioxide, vegetable magnesium stearate, vegetable stearic acid), Zinc (as citrate), L-Glutathione, Cross-Linked Cellulose Gum, Glazing Agents: (hydroxypropylmethyl cellulose, vegetable glycerin (from palm kernel oil and coconut oil)), Natural Source Beta-carotene, Copper (as bisglycinate), Selenium (as L-selenomethionine), Mixed Carotenoids. 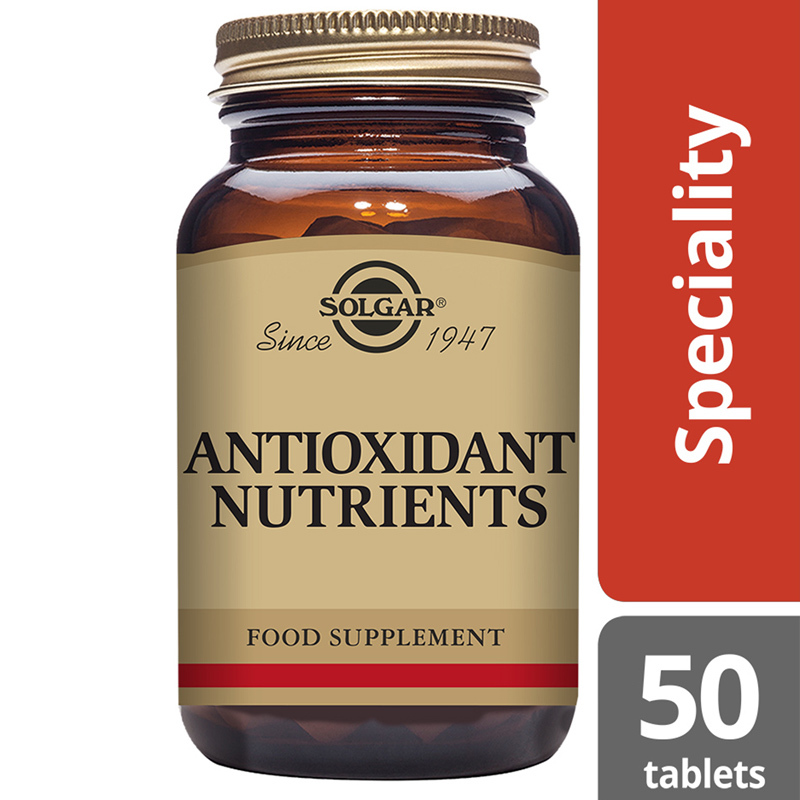 Solgar® Antioxidant Nutrients is a combination of several vitamins and minerals who all have strong antioxidant benefits, creating a holistic approach to minimising the damage caused by free radicals. 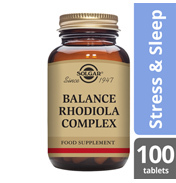 Free radicals are produced by the body when you breathe, digest food, exercise or even sleep. 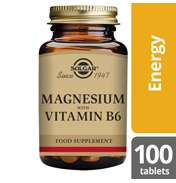 They are naturally occuring as they are created by emotional stress, ultraviolet light, radiation and air pollution. 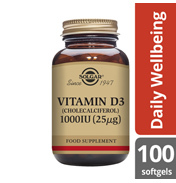 Free radicals damage the body by causing deterioration of the cells, lowering the defences against diseases and putting the body into a 'stress' state. 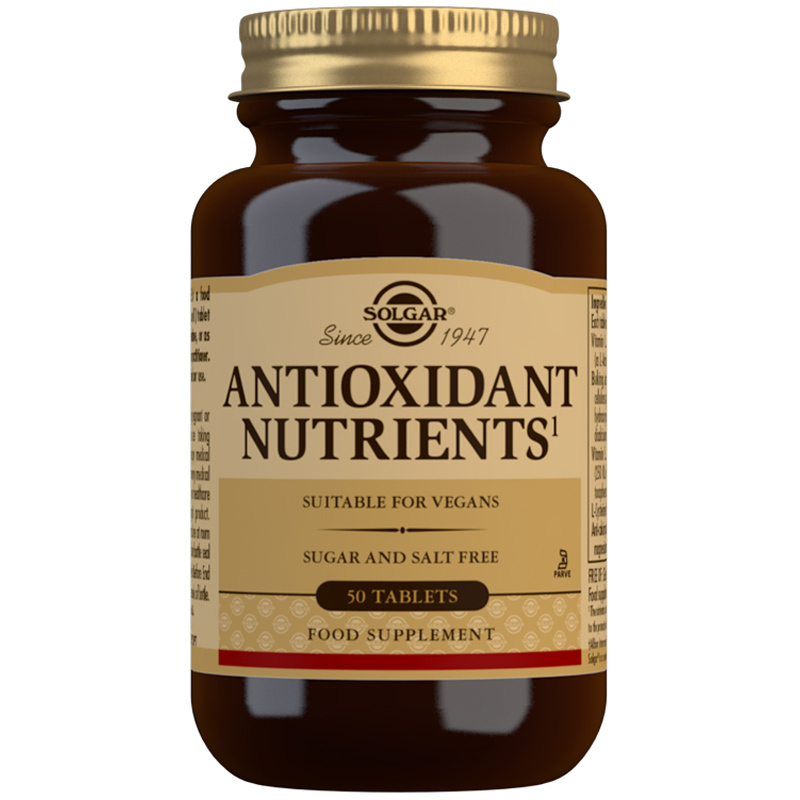 The special Solgar® Antioxidant Nutrients formula combines the vitamins C and E, with minerals such as Zinc, Selenium and Copper, all of which have strong antioxidant benefits. 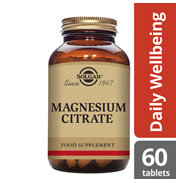 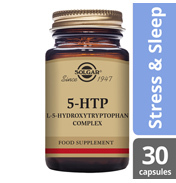 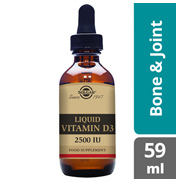 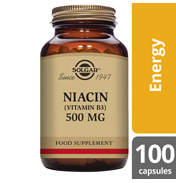 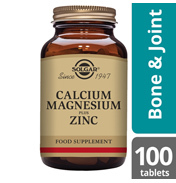 To create a holistic approach, several amino acids have also been included in this formula. 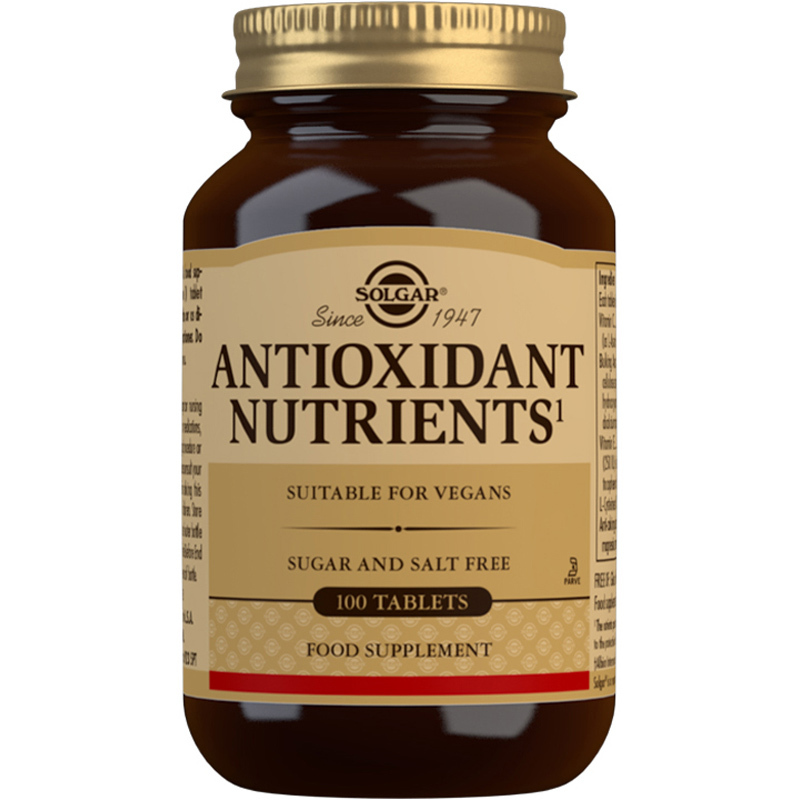 Solgar® Antioxidant Nutrients is suitable for those on a vegan diet and to be taken as 1 tablet daily, containing both vitamins and minerals, as well as amino acids. 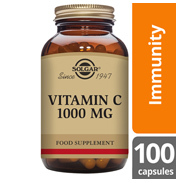 Vitamin C (as L-Ascorbic acid), Bulking Agents: (microcrystalline cellulose, pea starch, alginate hydroxypropylmethyl cellulose, dicalcium phosphate, gum Arabic), Vitamin E (as D-alpha tocopheryl acid succinate), L-Cysteine (as HCI), Anti-caking Agents: (silicon dioxide, vegetable magnesium stearate, vegetable stearic acid), Zinc (as citrate), L-Glutathione, Cross-Linked Cellulose Gum, Glazing Agents: (hydroxypropylmethyl cellulose, vegetable glycerin (from palm kernel oil and coconut oil)), Natural Source Beta-carotene, Copper (as bisglycinate), Selenium (as L-selenomethionine), Mixed Carotenoids.